It's been 30 years, but Pink Floyd's "The Wall" still means a great deal in the rock world - and to its co-creator Roger Waters. So to commemorate the groundbreaking album's anniversary, Waters plans a tour this fall of the music from the concept album, with new staging that will bring the story - loosely inspired by his life - to a new generation. "In the 30-odd years since I first performed this piece, it's taken on some new meanings for me," Waters, co-founder, bassist and main lyricist for Pink Floyd, said in an interview last week. "Thirty years ago when I was kind of an angry and not very young lad, I found myself driven into defensive positions because I was scared of stuff, and I've come to realize that in that personal story, maybe somewhere hidden in there exists an allegory for more general and universal themes, political and social themes," he said. "It's really for that reason that I decided that I'd try and create a new performance of this piece using a lot of the same things that we did all those years ago." 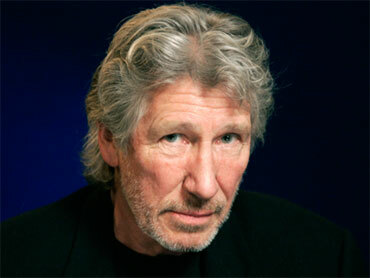 But Waters said he won't just be dusting off the show that the now-defunct Pink Floyd performed decades ago. In fact, Waters said part of the excitement surrounding his new staging of "The Wall" involves new technology that allows him to do things he could only dream about in the 1980s and '90s. "Projection systems now are completely different from what they were then, which means that I would be able to project over the entire 250-foot expanse of the wall ... which we couldn't do in those days," he said. In 2008, Waters brought the three-day music festival Coachella to a close with a two-set performance that included playing all of "Dark Side of the Moon" and unleashing a giant inflated pig into the night sky. Old photographs of the band often flashed across the screen behind Waters and his current band, which played songs from "The Wall," "Wish You Were Here" and "Animals," among other Floyd albums. They also played "Dark Side" in its entirety, culminating with the album's iconic triangle prism rising above the stage. But Waters' biggest prop was that inflatable pig, the size of a school bus, that emerged while he played a version of "Pigs" from 1977's capitalism critique, "Animals." Though this new tour promises plenty of grand theatrics, more important to Waters is the legendary album's political and social commentary, which he believes is still relative. "When we did it then, we were after the end of the Vietnam War, and we're right now in the middle of wars in Iraq and Afghanistan, so there's a very powerful anti-war message in `The Wall.' There was then and there still is now," he said. Waters plans a segment in the show that will pay tribute to soldiers who lost their lives, not only in the recent wars, but also in other conflicts. The U.S. tour will kick off Sept. 15 in Toronto and end Dec. 15 in Anaheim, Calif. It will also head to Europe. For Waters, the concerts will likely mark the end of his performing days. "I'm not as young as I used to be. I'm not like B.B. King, or Muddy Waters," the 66-year-old said. "My friend Eric Clapton...he'll be playing guitar and he'll be on stage 'til the day he dies, because that's what he does."